Palestinian human rights defender and boycott activist Salah Khawaja was ordered to 12 months imprisonment by the Ofer military court on Sunday, 5 March. Khawaja, a member of the Secretariat of the Palestinian Boycott, Divestment and Sanctions National Committee and a leader of the Palestinian Grassroots Anti-Apartheid Wall Campaign (Stop the Wall Campaign), was also ordered to pay a fine of 5000 NIS ($1250 USD). Khawaja was seized from his Ramallah home on 26 October 2016 in a pre-dawn military raid by Israeli occupation forces. During his lengthy interrogation, he was subjected to torture, ill-treatment, beatings and denied access to his lawyer. He was eventually charged with contact of an “agent of an enemy state,” an allegation frequently leveled against Palestinians who travel to other Arab countries and meet Arab or exiled Palestinian activists and media figures from countries like Lebanon, Syria or Algeria. Similar charges are frequently used against Palestinians who attend conferences and public political events in Lebanon, the home to hundreds of thousands of Palestinian refugees, or other Arab countries. In Khawaja’s case, the charge was quite weak; he was accused of meeting an unspecified person in Jordan, reported the Stop the Wall Campaign. In order to bolster the weak allegations, military prosecutors submitted a “secret file” to supplement the charges, to which Khawaja and his lawyer were denied access. 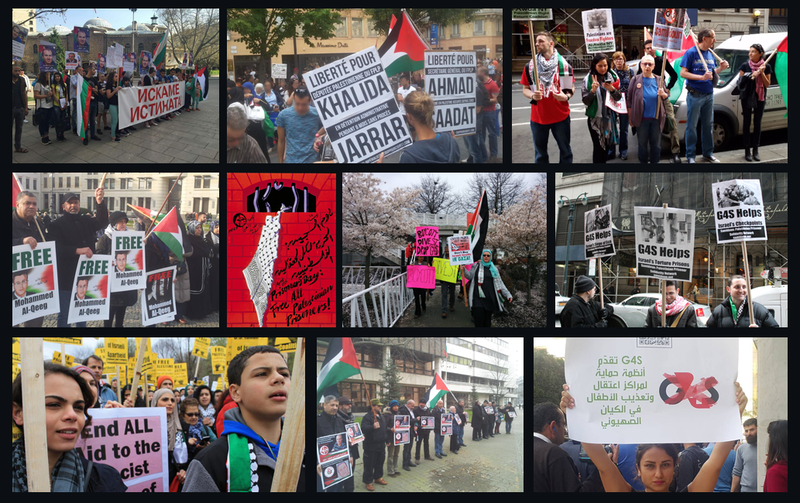 Samidoun Palestinian Prisoner Solidarity Network condemns the sentencing of Salah Khawaja, the latest sentence imposed on a Palestinian human rights defender for participation in Arab and Palestinian political events and activities, and demand freedom for Khawaja and all Palestinian prisoners.